When I saw this tutorial on how to make a Side Step Card, I knew straight away what I was going to make! It’s for my father-in-law’s 60th birthday, which is coming up in a few weeks time. I used my Big Shot to die cut the presents and words, but everything else is Stampin’ Up! I have taken a close up photo of the Ute. DH, DS and I, and even our overgrown puppy, Jim, are all in there! This is the first time I have used this stamp set (brought specifically for this project!!! ), but I know I am going to get so much use out of it! It’s very cute, but could make some fantastic masculine cards as well! 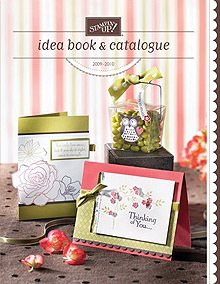 Stamp Sets: Loads of Love, Loads of Love Accessories. 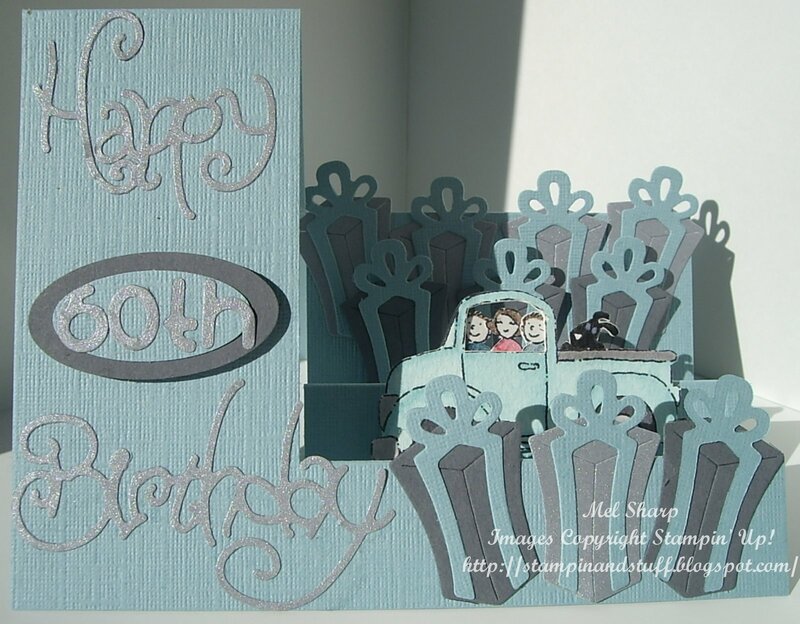 Cardstock: Textured Baja Breeze, Basic Gray, Brushed Silver, Water colour paper. Inks: Baja Breeze Classic Stampin’ Pad, Basic Gray Classic Stampin’ Pad, various Stampin’ Write Markers. 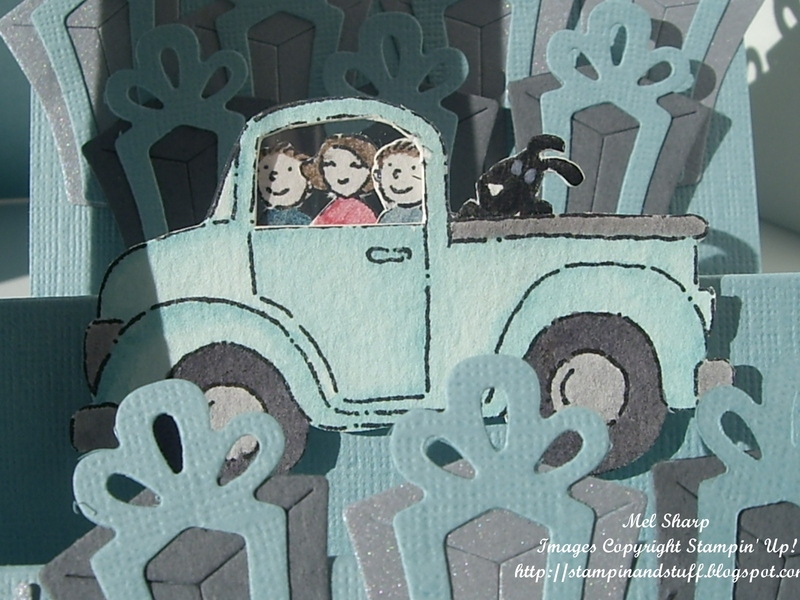 Accessories: Paper Snips, Paper Trimmer, Acetate (for the car window), Stampin’ Dimensionals, Snail Adhesive, Aqua Painters, White Gel Pen. This entry was posted on Tuesday, July 14th, 2009 at 12:35 pm and is filed under Birthday, Loads of Love, Sizzix, SU. You can follow any responses to this entry through the RSS 2.0 feed. You can leave a response, or trackback from your own site. One Response to A 60th Birthday card! Super cool card Mel, thanks for sharing.